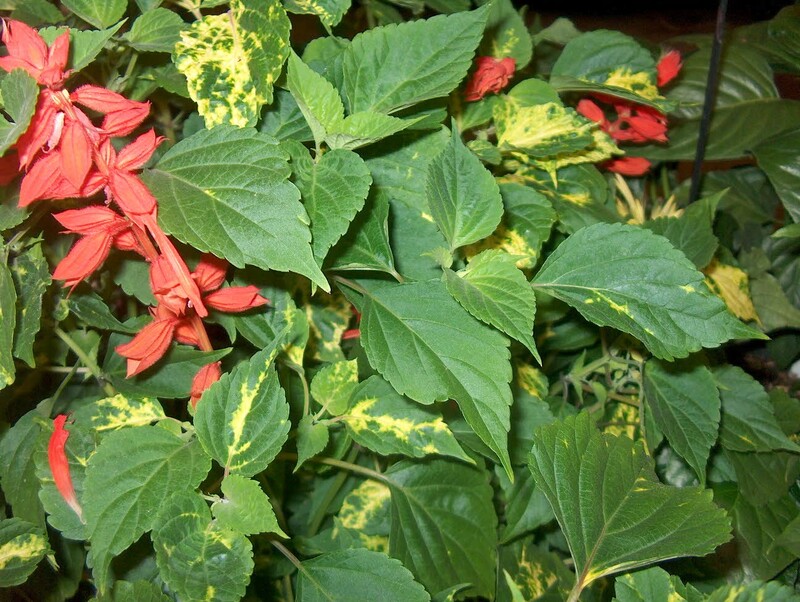 Comments: Very showy with large variegated green and yellow foliage with red flowers. Hummingbirds feed on the nectar of the flowers. Grown primarily as an annual, since freezes generally kill it.